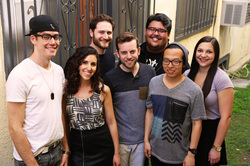 With a distinct pop/jazz style and a roster of world-class vocalists, Level has quickly earned a reputation as one of the most unique a cappella groups in the Los Angeles area. The group is comprised entirely of performers and arrangers from all seasons of The Sing-Off, all who boast impressive individual credits. Between them they have racked up a Grammy award, multiple platinum records, and appearances and production work on American Idol, The Voice, Glee, Duets, Pitch Perfect 1 and 2, and Whiplash. They’re so excited to be performing at SingStrong for their very first festival performance! Please check them out online at twitter.com/levelacappella and facebook.com/levelacappella [Performing Sat 7:00PM and Sun at 2PM] You can also catch Level's Robert Dietz (beatboxer, Sing-Off Arranger) and and Allie Feder (Pitch Perfect 2's "Evil Allie") as ACA-IDOL Judges on Friday at 7PM! Taiwan's jazz/world music sextet makes their SingStrong debut! Their sound has earned them “Best Solo” Award at the “2010 Seoul International A Cappella Competition, “Gold Diploma” and “Han-Guang Best Performance” , “Han-Guang Best Arrangement” in the 2011 Taiwan International A Cappella Festival, “Gold Diploma 3rd prize” in Pop category, “Gold Diploma 2nd prize” in Jazz category, “Best Arrangement” in 2012 vokal.total International A Cappella Competition, Graz, Austria, and a 2013 CARA "Best Asian Album" and "Best Folk/World Song runner-up" (Across the Milky Way). Don't miss this rare US appearance! [Performing Sun at 2PM]. Featured competitors on NBC's The Sing-Off, Ten offers an explosive, soulful sound. Hailing from Dallas, Texas, these singers have leaped from back-up to spotlight in the blink of an eye. Wowing the judges with a deep groove and riff-tastic solos on "Tell Me Something Good" and "Hot in Herre", the group has already become fan favorites in the a cappella community. Combining influences of gospel, soul and funk, this mixed ensemble just might go all the way! Whether they do or not, they're thrilled to be making their debut a cappella festival performance at SingStrong! Huff Post calls this NYC-based live-looper, "Electrifying!" Manhattan User's Guide writes, "This pop and jazz singer writes seriously infectious melodies with seriously antic lyrics. Her voice can raise the roof, or she can slide off a note and break your heart." Sometimes compared to artists like Julia Easterlin, once McLean begins, you won't be able to take your eyes off her for a moment. She loops layer upon layer of live harmony over her live leads, all the while putting the audience's focus on her incredible singing and songwriting. It's only after that one marvels at her mastery of the technology. McLean made her mark in theatre and indie rock. SingStrong marks McLean's a cappella debut. 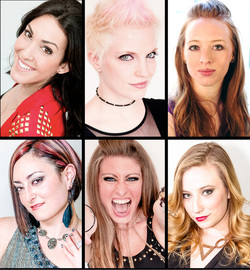 This NYC-based, all female sextet is known for combining pop leads, rich harmonies, and hip-hop dance moves. Beatboxer, MC Beats made a show-stopping entry into the beatbox community in 2012 when she was ranked 3rd best female beatboxer in the world at the Beatbox Battle World Championship in Germany. Stiletta members boast vocal and dance credits that include everything from CARA awards to original cast recordings for “Memphis” and “Dora the Explorer” to performances with Atlanta's "Infinite Movement" hip hop dance company, the College of William & Mary's "Tribal Dancers", and multiple off-Broadway shows. SingStrong's perennial hosts return! The group gained national fame as the voices of Oreo Cookie. Since then, this NYC quartet has toured the world, working with famed producer and American Idol judge, Randy Jackson, singing with Livingston Taylor, and making appearances on Oprah, Huff Post, College Humor, and VH1 Save the Music. CARA, RARB and Harmony Sweeps awards round out their aca-resume. Their style? Twisted Broadway meets high energy pop rock. Broadway baby, beatboxer, soulful tenor and human orchestra. That's the out-of-this-world sound of Blue Jupiter! The Funx are a TV supergroup, featuring talent from NBC's The Sing-Off as well as the incredible, soaring tenor of Nate Tao from American Idol. With arrangements and vocal percussion from Sing-Off arranger, Robert Dietz, winner of multiple CARAs for production, performance and arranging, this group has a full arsenal of a cappella weapons including the impressive Ariel Arbisser, winner of the 2010 CARA for Best Solo. Long-time collaborator, Crawford Doran and singer songwriter, Harry Nichols round out this pop/soul vocal band that began in Ithaca, NY and now hails from across the US and Canada. 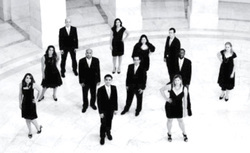 Fresh off their inclusion on CASA's 2013 SING, they are excited to return to SingStrong! Hailing from Austria, Fii's beatboxing and reggae-tone looping garnered him international fame when he was featured on both Germany's Got Talent and the X Factor Germany. 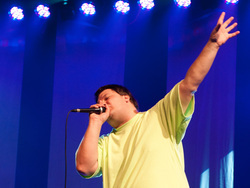 In the US, fans know him from his appearance at The Los Angeles Music Awards as well as several SingStrong appearances. This playful crowd favorite returns with new, all-original material that will make audiences smile and dance. Sometimes billed as a musician and sometimes as a comedian, Fii creates a performance that's all his own! Since 2010, this classically-based, mixed ensemble of 12, has been largely performing at high end, private events. But with the release of their album, "Opening Statement", they've begun making waves in the a cappella community. 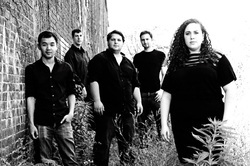 The group's members have sung at both Carnegie Hall and the Kennedy Center, and the group is currently the Ensemble in Residence at All Souls Memorial Episcopal Church in Washington, D.C.. Their blend, balance and phrasing are rooted in classical music, but their distinctive sound comes from their bold introduction of pop, rock and folk influences. "Born" in 1948 in Alexandria, Virginia, the Harmonizers have become known the world over for their ringing barbershop chords. The Harmonizers have won the Barbershop Harmony Society International gold medal four times. They have also earned 11 other International medals. They've entertained at the White House for President Obama and the First Lady, and under the direction of renown barbershopper, and SingStrong instructor, Joe Cerutti, the ensemble has earned 2 International Bronze medals and its District Champion status. They are excited to make their SingStrong debut!